Looking for probably the best fast food money can buy? 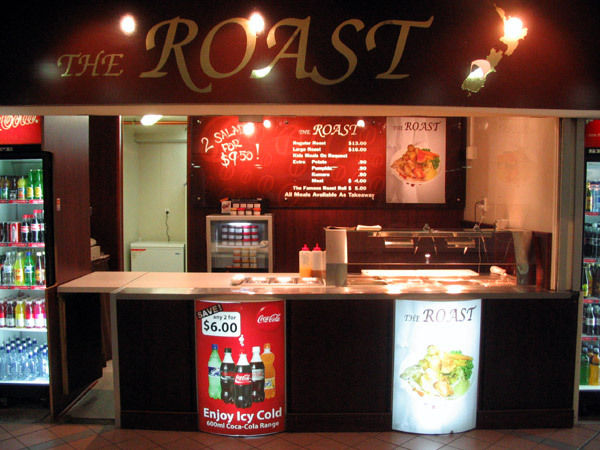 If you're in Queenstown NZ and handy to O'Connels Pavillion then look no further.. go to The Roast. Most of us think of fast food as any of the large fast food chains.. consider the movie "Supersize Me" where they fed a healthy guy solely from one of the large fast food chains for a month. By then end of the month he was getting worryingly sick. What I have discovered is unbelievably quick (faster than ordering KFC etc..) and infinately better & healthier yet competitively priced. You get a choice of 2 different roast meals, either my favourite.. NZ Lamb Roast or Pork Roast with crackling! 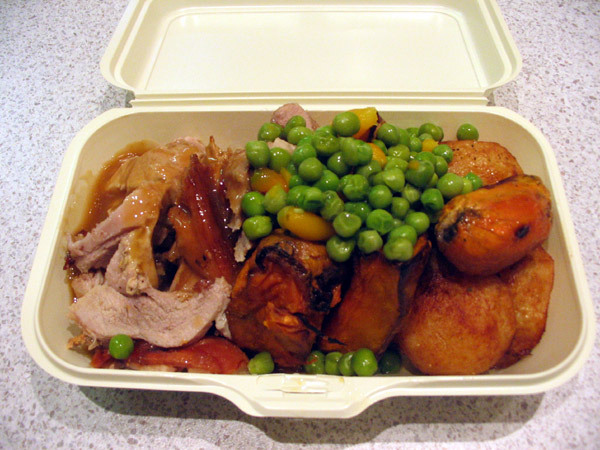 Additionally to Lamb & Pork you will get: Peas & Carrots, Potato, Kumera, Pumpkin, Gravy, mint or apple sauce. 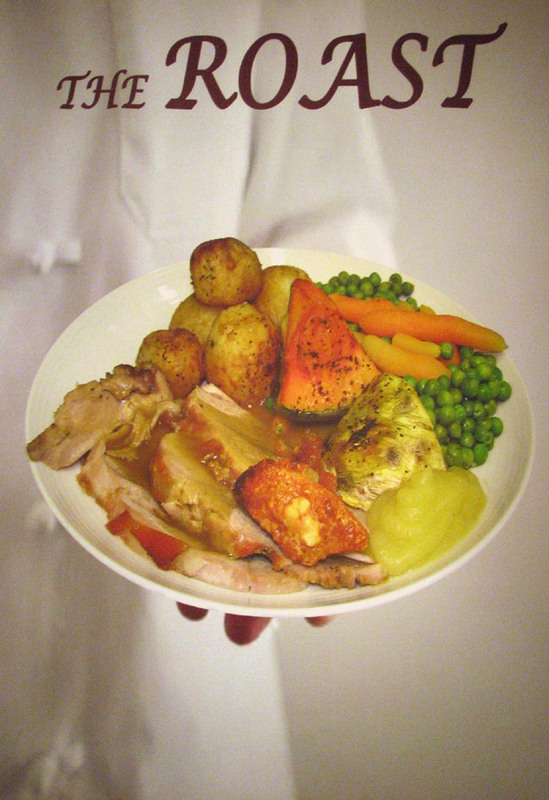 Open from 11:00am until 8:30pm The Roast provides either dine in the food court or takeaway. As a single guy living alone I cannot do this at home.. I have become a regular customer, what could be easier and they provide a quality meal available in 2 regular sizes plus I think they also childrens size. I have yet to sample one but they also do Roast Rolls.. I believe basically a roast meal in a bread roll. Prices (may be subject to change). $13 for a standard meal $16 for large and a range of addon options. Review rating for 'Seriously Fast Food' 11/10.. I'll definately be back (too lazy to cook for 1). Well done to "The Roast" this idea was simply brilliant.. keep it up.. I expect to see you with an outlet in every town by next week (I might go on holiday.. just never know). Beat that.. below is a takeaway meal someone was picking up while I sneaked in to get a couple of photos. I've just had one of these but just looking at it makes me hungry again.